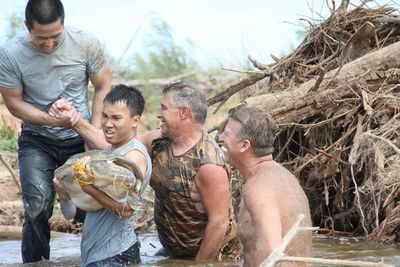 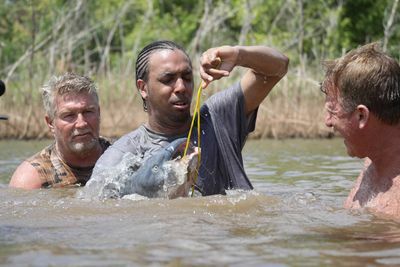 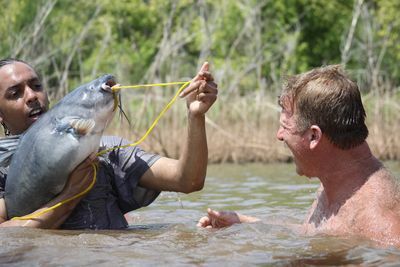 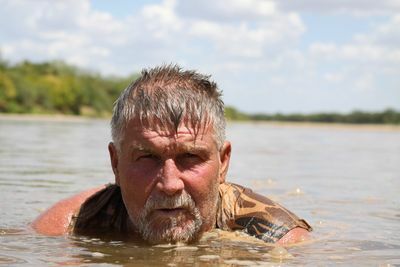 Welcome to the wild sport of noodling - fishing for catfish in the South of America, using your bare hands and feet! 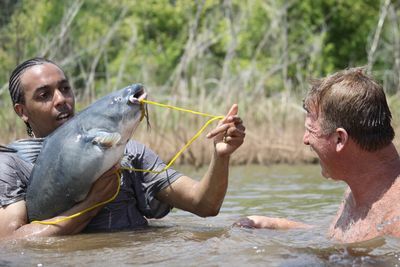 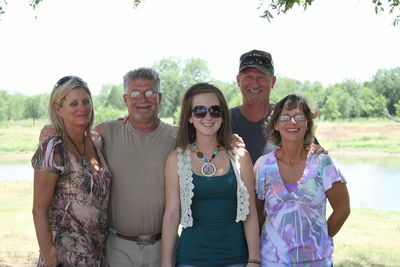 Entertaining series, ‘Hillbilly Handfishin'', sees Oklahoma hand-fishermen and self-proclaimed ‘hillbillies' Skipper Bivins and Trent Jackson joined by thrill seeking city dwellers as they submerge themselves in murky waters to get a taste of country life, and go through the paces of noodling catfish with no fishing rods or hooks. 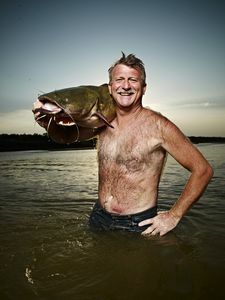 The only lure for these fish are fingers and toes - which can be just as attractive to the snakes, beavers, muskrats and snapping turtles that can take over abandoned catfish holes! 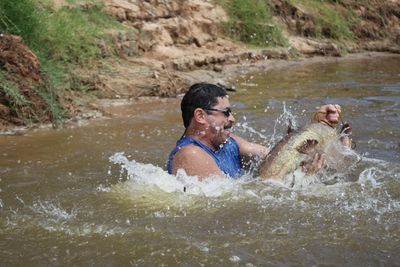 The experience might be uncomfortable and terrifying, but it promises to change the lives and positively affect each newly crowned ‘noodler' long after the last morsel of deep-fried fish is gone.